All racing licences expire on 31 December each year. Cycling Australia usually sends an email in October to remind you, but by this time of year most of us have forgotten about it. 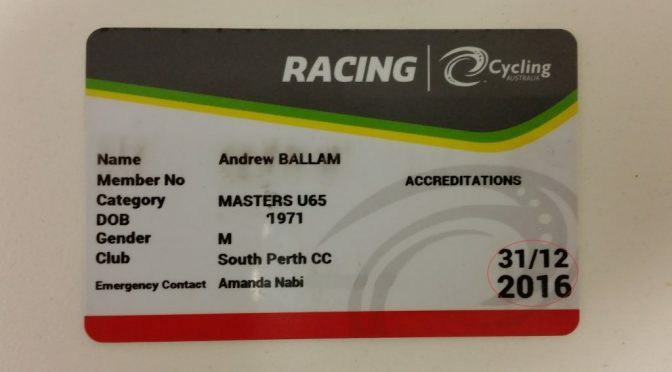 Before you get completely lost in the mayhem of the Christmas period take a minute to renew your racing licence so that you can continue to race uninterrupted in the New Year. Click here to go to the membership page.